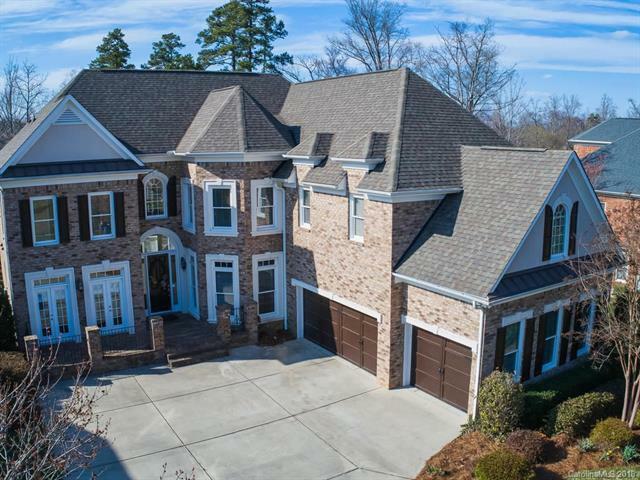 11111 Highcrest Drive, Huntersville, NC 28078 (#3369527) :: Robert Greene Real Estate, Inc.
Refinement, Custom Finishes and Design Come Together Seamlessly in this John Wieland Home in Skybrook. Upgrades Include Guest Suite on Main with Full Bath, Double Tray Ceilings, Wainscoting, Wrought Iron Balusters, Hardwoods, and Two Fireplaces. Gourmet Kitchen Features Stainless Steel Appliances, Granite Countertops, Island with Gas Cooktop, Upgraded Cabinetry and Tile Backsplash Opens to Breakfast Room and Keeping Room with Cathedral Ceiling and Fireplace. Two Story Great Room with Wall of Windows, Formal Dining Room and Living Room with Double French Doors. This Home is Prewired for Speaker System and Hard Wire Internet Access. Luxurious Owner Suite with Spa-like Bath - Jetted Tub, Oversized Shower, Dual Sinks and More Lead to a Secondary Room Converted to a Large Walk In Closet. Finished Third Floor, Awesome Yard with Views of the 7th Hole.